LAS VEGAS, Nevada. 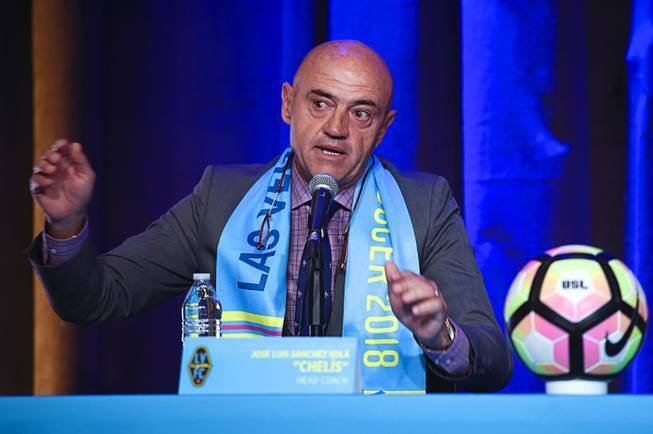 In a press conference held at the Inspire Theater, USL expansion team Las Vegas Lights unveiled Jose Luis Sanchez Sola as its first-ever manager. 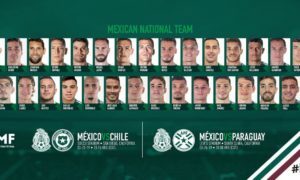 And in the introductory press conference, ‘Chelis’ was very much bilingual, moving between English and Spanish in his responses. 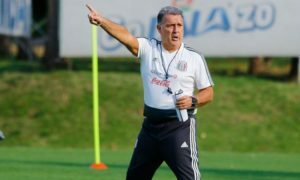 Although he had a translator at hand at the conference and the Lights’ executed an equally bilingual social media strategy, the former Puebla, Estudiantes Tecos, Veracruz, Chivas USA, Correcaminos, and Venados manager stressed that he would improve his English to be better able to make the bridge to English-speaking fans himself. 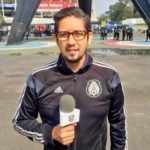 At the Gold Spike meet-and-greet with fans later that night, ‘El Chelis’ opened up about the business of bringing in players, saying that he wants his first signing to be a local star and that the team will hold tryouts in December. And his only other comment that night had addressed the fans who would be watching Lights FC games. “”In a conflict-filled world, where all of us have problems with work, family or a lot of other problems, I promise that when you come to the stadium, turn on your TVs or computers and watch a game, you’re going to forget about your problems,” he explained. 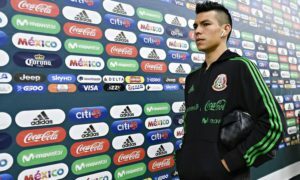 “Now, when the game is over, the problem will still be there,” added Sanchez Sola as a punchline.